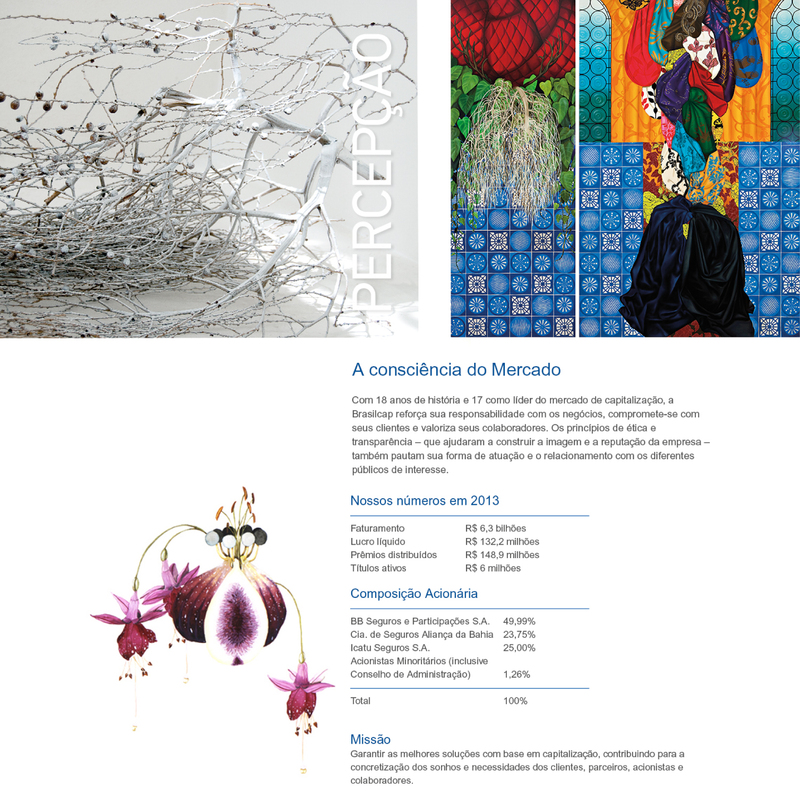 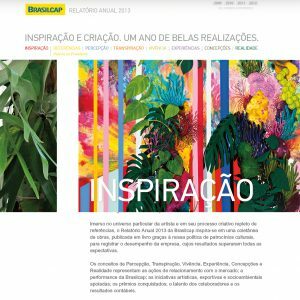 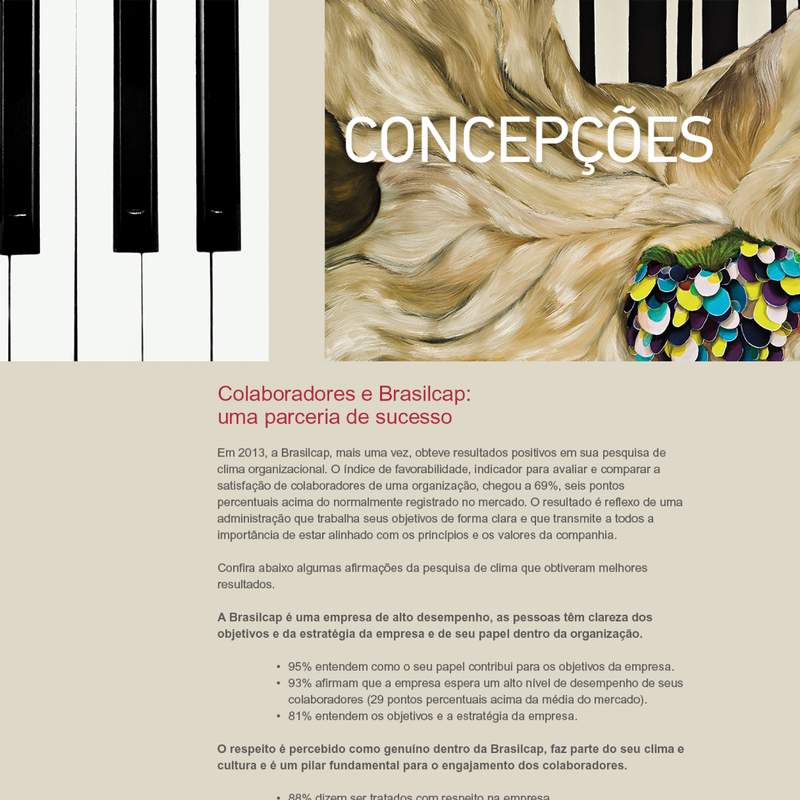 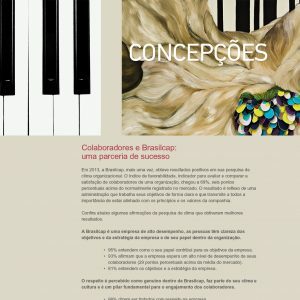 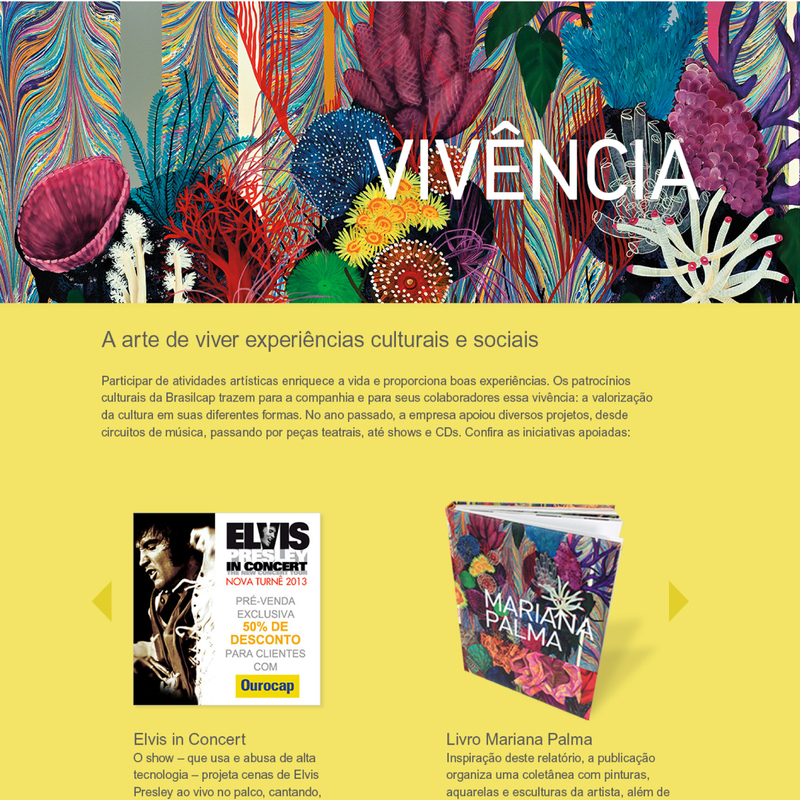 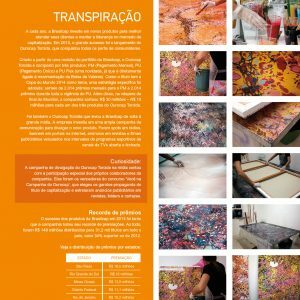 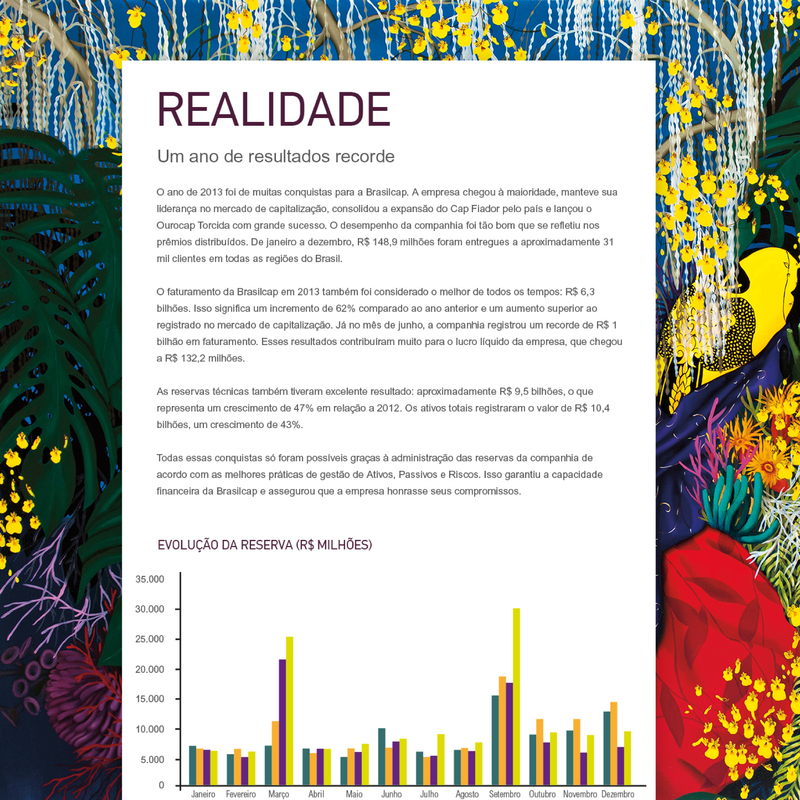 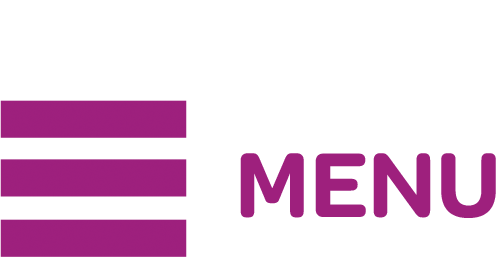 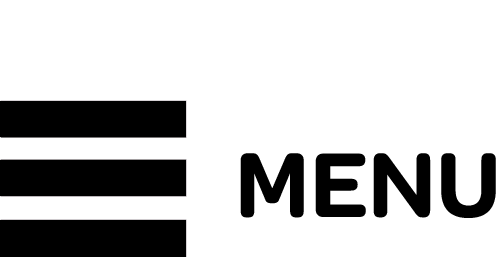 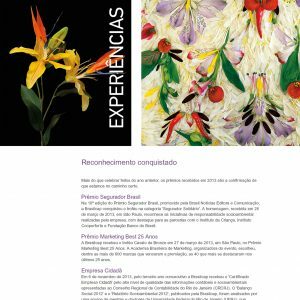 Brasilcap adopted an artistic concept to illustrate their digital annual report. 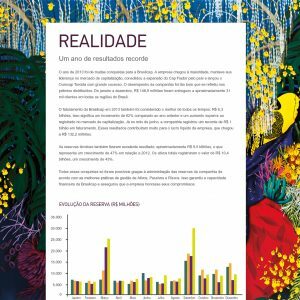 Inspired by the company-sponsored book written by Mariana Palma, the report brings together some of the influences and experiences that contributed to the excellent yearly results. A vertical graphic project was created to facilitate navigation on mobile platforms as well as a hot site with a fixed menu and visual identity laid over pastel background colors to accentuate the vivid images used from the book.